We are living in perilous times, but so many of us don’t understand the nature of the risks facing us as individuals and as a nation. True Individual Freedom is under attack by forces far more powerful and resourceful than ever before . . . The goal is to eliminate the Sovereign Man. Freedom is not a partisan issue to be debated by politicians and used to purchase votes – it is a basic moral right of humanity. Most of us believe that, as American citizens, we are still free, protected by our Constitution and the Bill of Rights. Compared to what was originally ours when the Constitution was written, all we have left are a few scraps of Liberty not yet stolen by those who seek control over every aspect of our lives. It has happened so slowly over so many years that we have barely noticed. It is far easier to ignore a painful truth than to confront it, and that is exactly what most of us have been doing for far too long. Infected with the Normalcy Bias, we believe that life will go on as it always has in spite of the preponderance of factual evidence to the contrary. Too many of us are either uninformed, disinterested, or deceived by the false promises of a collectivist future. Our nation is undeniably in a combined death spiral of debt, dependency, and immorality. The right to own private property that cannot be arbitrarily regulated or confiscated by the government is the moral and constitutional basis for individual freedom. Without private property and the liberty it provides, all we have is The Illusion of Freedom. Our founders considered the totality of a person’s property to include not only his land, his home, and his physical possessions, but also the work of his hands, the inventions of his brain, and ultimately his life itself. Karl Marx, the architect of socialist theory, was asked what he believed to be the single most important step for communism to be successful on a worldwide scale. His answer, the elimination of all Private Property, became the first plank in The Communist Manifesto. From the dawn of human civilization, groups of men have sought to rule over others. The result is always the same – a struggle to prevent tyrants from eliminating Individual Freedom. There were only nine people at Karl Marx’s funeral. Socialist theory should have died with him. Unfortunately, the arrogant elitists of that era realized that they could use Marxist theory to rule the world. 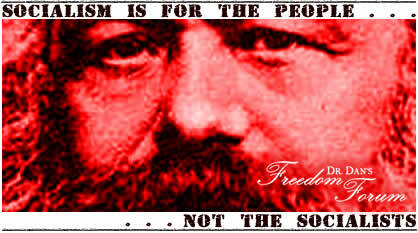 George Bernard Shaw founded the Fabian Socialist Society in England shortly after Marx’s death. The members, inspired by Shaw himself, believed that they were the most intelligent people on Earth and that they should make all the rules by which we mere mortals should live. For example, they wanted to decide who would be allowed to reproduce to prevent the rise of “stupidity” in human society. Many of the financial and social elite in this country had no problem signing on to this agenda. In fact, we are “celebrating” the 100th Anniversary of the birth of the American Progressive movement. The collectivist world view of international socialism directly contradicts the philosophy and the principles on which our country was founded. Natural Law Rights belong to each of us by dint of our humanity. We are born with them, and the duty of government is to protect and secure those rights, not amend, restrict, or eliminate them. Natural Law Rights impose no obligation on another person. These rights are the basis for free market competition, individual freedom, and personal responsibility. 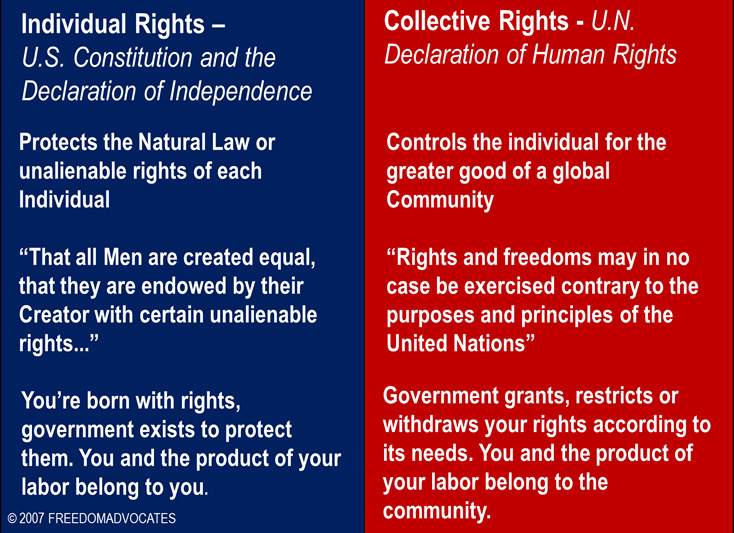 To the socialist elite, we have no rights as individuals. The purpose of our existence is to serve the state which can grant, amend, or remove rights of individuals based on the whims of the ruling elite who are, themselves, not subject to the laws, rules, and regulations they impose on us. If these elitists have their way, the world will return to the Feudal System of the Middle Ages with one important difference. Modern digital technology will be used to control the masses and prevent revolution. 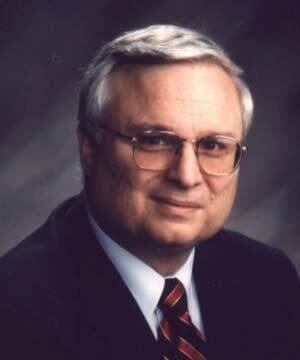 Dr. Dan’s guest on Freedom Forum Radio next weekend is Dr. Michael Coffman, a staunch defender of private property rights, free market economy, individual freedom, and personal responsibility. Dr. Coffman received his BS in Forestry and MS in Biology at Northern Arizona University and his Ph.D. in Forest Science at the University of Idaho at Moscow in 1966, 1967, and 1970 respectively. Since then, Dr. Coffman has become a respected scientist and ecologist who has been involved in ecosystem research for over twenty years in both academia and industry. He taught courses and conducted research in forest ecology and forest community dynamics for ten years at Michigan Technological University–a leading forestry school in the Midwest. While there, Dr. Coffman published a book on forest ecosystem classification in Upper Michigan and Northern Wisconsin that has become the standard for classification in the region. He also assisted the U.S. Forest Service in developing an Ecological Land Classification System for each of the National Forests in Region-9. Dr. Coffman is currently President of Environmental Perspectives, Inc. (EPI), and Executive Director of Sovereignty International. EPI focuses on providing professional guidance and training in defining environmental problems and solutions dependent upon private property rights and free enterprise that protect both people and the environment. Sovereignty International helps many different organizations to bring a positive message of how national sovereignty, free market enterprise, private property rights, and traditional values are superior to the global treaties and agreements that provide the framework to global governance currently being implemented by the United Nations. The following commentary from Dr. Coffman’s website explains the philosophical basis for these two publications. Those steeped in progressive and Islamic ideology know that they are right and everyone else is wrong. There is no such thing as compromise in either ideology. They may seem to compromise, but it is an illusion. Both ideologies teach adherents to lie. It is merely part of their strategy to eventually win. They have succeeded for decades by relentlessly lying, intimidating, bullying, mocking, demonizing, and even destroying anyone or anything that stands in their way. Their strategy is based on “the end justifies the means,” including class warfare. Progressives and Islamists constantly accuse everyone else of hatred and bigotry in order to hide in plain sight their own hatred, bitterness, intolerance and bigotry that is usually magnitudes worse than those they accuse. They admit amongst themselves that they are at war with the American legal system and tradition so they can implement their utopian/religious ideals of social and environmental justice using the Soviet model (totalitarian) of governance. Both progressives and Islamists are attempting to create international law whereby any negative speech against Islam in general and Mohammed and Allah specifically is hearsay and punishable by imprisonment. For over a hundred years progressives in both political parties have been manipulated by a global elite to systematically undermined America’s Constitutional foundation in order to create a world government. They have plundered the wealth of this nation to advance Although things may seem to be as they always have been, that is a deliberately created mirage. Americans can’t see it because our public education and the progressive media has slowly but systematically indoctrinated us for a hundred years to accept the progressive (now Islamist) version of reality. America is in desperate trouble and these progressives/Islamists seem to be planning a complete collapse of this once great nation in the next couple of years. Plundered details how this progressive agenda has slowly but systematically strangled this great nation. Radical Islam graphically details how the Obama administration is allowing Islamists to control essential government agencies and how Biblical prophecies and warnings are literally being fulfilled by Islam. It details who, why and how it is being done. Early psychiatrists in the 19th century were even then sounding the alarm about progressivism. Progressivism and Islam are a cancer. It is part of a global agenda that is destroying America. Both are evil. Join Dr. Dan and Dr. Coffman as they discuss critical issues including Agenda 21, the EPA, the BLM, and radical Islam, all of which are implicated in destruction of our constitutional republic and the theft of our individual freedom. Part one airs October 12 and October 18-19, on WJRB 95.1 FM and streamed live over the Internet. Part two airs October 25-26, part three airs November 1-2, part four airs November 8-9, part five airs November 15-16, and part six airs November 23 (Sunday only) and November 29-30. Show times are Saturday 8:00am and 9:30am and Sunday 2:30pm and 7:00pm. All programs are available by podcast following air time here.